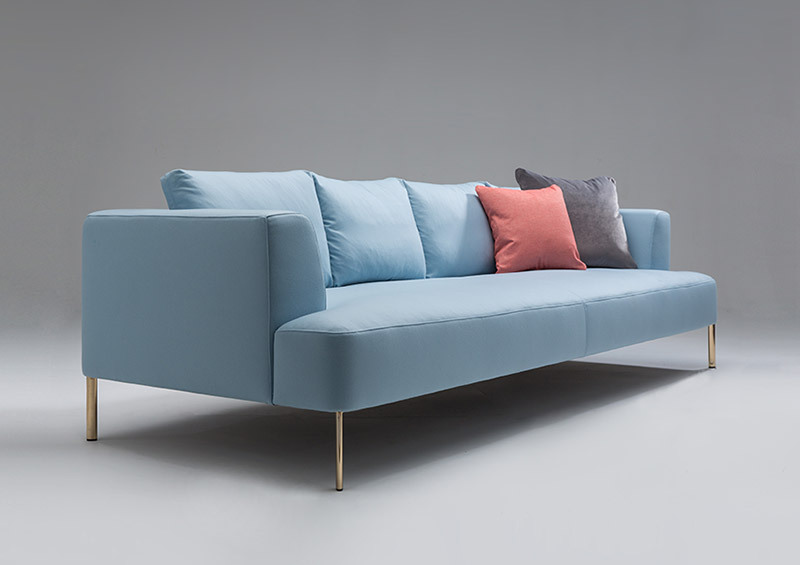 Brydie embodies a luxurious character with generous comfort and contemporary proportions. 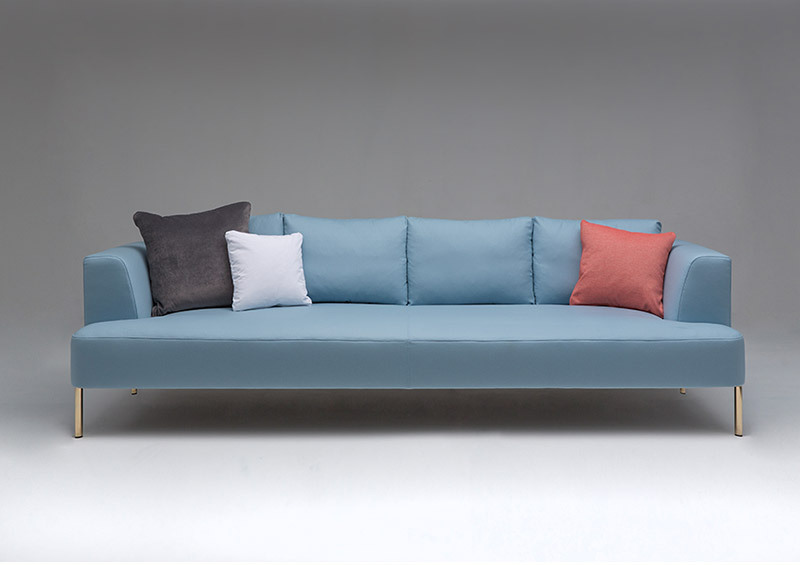 A sofa collection in refined and timeless styling that can be expressed from casual chic to classic tailoring, and designed to create a harmonised balance with structured upholstery supported on light, oval shaped legs. Made with premium quality materials in multiple seating sizes and scatter cushions to match. 100% Australian design and manufactured. Premium quality materials including FSC kiln-dried Australian hardwood, FSC multiply, No-sag steel spring suspension, high resilience polyurethane foam core, feather / down wrap seat cushioning and foam core feather / down wrap back cushions. Loose scatter cushions feather / down fill. 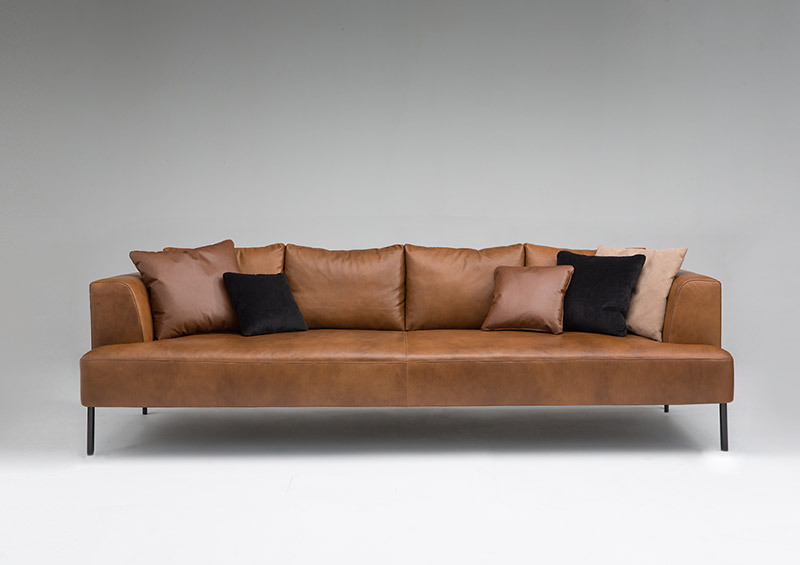 Upholstered in fabrics or leathers. 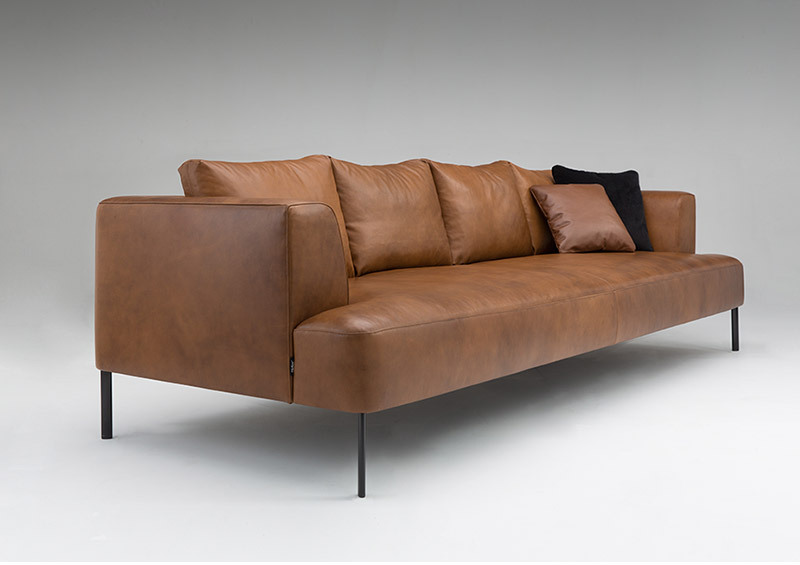 Upholstered in specified fabric or leather colours. Optional leg finishes include polished brass, bright chrome, black, white and other colours by request. * Dust and vacuum fabrics regularly. Dust and wipe leather with damp cloth. Dust and wipe metal legs with damp cloth. Fabric and leather companies have their own ‘care and maintenance’ instructions for each product. Reshape and rotate cushions to maintain shape. Didier recommends always reading the label of any cleaning products and not using cleaning agents containing abrasives or solvents.